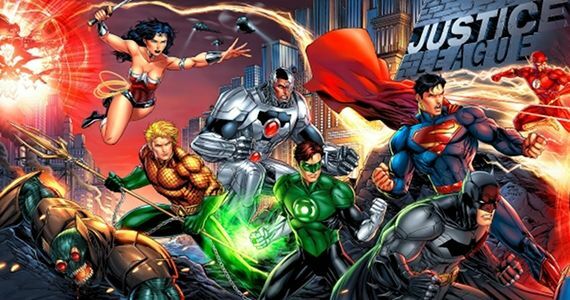 After The Avengers did super-crazy-good at the box office the WB announced that they would have their own big team up movie, Justice League, on track for a 2015 release. Well, they had someone working on a script but rumor is that’s been scrapped. They haven’t found a director, and now they’re claiming they want to see how Man of Steel does before they move ahead. They also seem dead set on not following the proven track that Marvel has by building the world with solo movies before shoving everyone together. They want to do the opposite because, well, it’s the opposite of what their rival is doing. There have been several articles on why this is a bad idea. Personally, I think Man of Steel is going to do fine. I’ve really liked what I’ve seen so far, and despite fan-geek rumblings on message boards where every quote is taken horribly out of context or blown up to silly proportions (SUPERMAN IS GOING TO BE DARK AND REALISTIC!!!111!!!1!!) I think we’ll get a decent flick. That said, I think a JLA live action movie is just a bad idea. The Avengers worked for several major reasons. One, they established world building through a series of decent-great movies people generally really liked that linked things together before the big team up. Two, they got a writer/director who knew what he was doing. Joss Whedon knows comics. He knows how to do ensemble stuff well (FIREFLY!!!!). He’s also a pretty great writer. They picked a great person to helm the project. Three, they got the right actors for the various roles. Four, Avengers is just easier to do in live action without it being silly. Marvel comics have always seemed to be a bit more grounded in reality than DC. DC is more mythological/fantastical while Marvel has always been more sci-fi. Sure Avengers has Norse gods running around, but even that was explained with a more scientific approach- advanced science always looks like magic to those who don’t know what they’re looking at. But all the other members of the Avengers are pretty much just normal humans with sci-fi-explained tweeks that make them superhuman. Stark has a super advanced suit of armor and is a genius. Hulk and Cap have been genetically altered by science. Hawkeye and Black Widow are just crazy good at what they do.Nick Fury is Sam Jackson. See? All their powers are pretty much explained by and rooted in science, granted more sci-fi science, but science none-the-less. It all feels a bit more grounded, enough so when aliens come flying out of a wormhole and Banner turns into the Hulk and smashes the audience goes along for the ride. The Justice League Movie should be CGI. Don’t believe me? Watch this, I’ll wait…. By going the CG route like the example above the WB can avoid a lot of the problems of a live action film and actually make a movie that could still do huge at the box office without being a train wreck. First, people tend to be more likely to suspend disbelief when it’s animation, and you can get by with a lot more without it looking fake and/or stupid. I don’t know a single person who has seen that trailer above, comic fan or not, who hasn’t remarked how completely awesome that was. It was pretty dark, much darker than what they’d want to shoot for with a big movie, but it worked on a level that no live action movie is likely to. In CG the costumes don’t look silly. In live action, they kinda do. In CG you can get iconic voice actors who have been known for these parts for the last 20 years: Kevin Conroy as Batman, Mark Hamill as the Joker…basically everyone who did the old Justice League TV series. They would already have the perfect built-in team to handle it: Bruce Timm, Paul Dini, Andrea Romano. They’re the DCAU trinity of awesome that has made the last 20 years of DC animated products so freaking good. Let them move up to the big time and handle a big budget movie rather than these 70 minute long direct to DVD things. Pixar and Dreamworks have shown that big budget animated movies can do well. Heck, The Incredibles showed that it can work for superheros and make a movie that everyone loves. Its time for Warner Brothers to wake up and realize that their answer to the Marvel movies is staring them right in the face. That’s just my take on it anyway. J.R. Broadwater is the author of the non-fiction book Down with the Thickness: Viewing the World From a Fat Guy’s Perspective, the sci-fi detective novel You Only Die Twice, and the fantasy novel The Chosen: Rebirthing Part 1- all available now in digital and paperback formats. Sample chapters and more information about these books can be found here. I’m afraid I’d have to disagree. As much as I’d love to see DC throw it’s considerable resources into a spectacle grand enough to put every other attempt at CG realism vying for second, the sad truth, at least as I see it, is that people would always look at it as an admission of defeat. I don’t doubt that it could be amazing, DC’s animated movie projects seem as far ahead of Marvel’s as their live-action films are ahead of DC’s (Batman notwithstanding). The problem is that it couldn’t draw quite the same crowd Avengers did. Even if it could, I think it’d be a herculean task convincing Warner Bros. of it. The fact is that DC doesn’t know how to compete with Marvel’s film division and it seems like they’re scrambling. They’re better off doing things carefully and making a live action JL movie they can be proud of. As for the science vs. magic issue, I’ll admit that without their world established, DC will be asking for a pretty serious suspension of disbelief. Still, it’s not zoo much worse than what Marvel had to deal with. The Hulk is every bit as nonsensical as the Flash. Wonder Woman and Thor are roughly even as the most far-fetched of their respective teams (I’d probably even be willing to argue that the whole ‘they’re actually alirns’ angle strained credibility just as much as the concept of the Asgardians being the actual Aesir). The biggest problem DC faces, in that regard, is actually Superman. I think Superman needs to be used sparingly. No matter how careful they are in establishing his limits, there’s a risk of moviegoers being upset that he’s too powerful and upset that he’s not powerful enough. In the end, if DC really means to push ahead with the 2015 release, they’re going to need to treat this project with the same respect Joss Whedon did the Avengers and be willing to make some choices that might put priority on a franchise rather than a single film. At least that’s my take. I certainly see your point of view and even agree to a point. I know WB would never do this for those very reasons, but I think that should have been the direction they went with from the start, because I just don’t see them ever being able to pull off the Justice League live action in the way they’ve been going about it. Animation means you can take more liberties without as much buildup, but yes it would be admitting defeat…but lets face it, they lost that battle 4+ years ago when Marvel put out Iron Man and started building their cinematic universe and DC refused to follow suit with Superman Returns (which shouldn’t have been Donner’s Superman remix) and Green Lantern. But even sticking with live action, they should give it to Bruce Timm and Paul Dini. They’ve proven they “get it” in the way that Whedon does. Sure they don’t have as much experience with live action, but neither did Brad Bird and that turned out pretty well. I agree that DC/WB should hand some movie reigns over to Bruce Timm and team. Since Batman TAS, they have been doing absolutely amazing with animated shows and movies. Still, putting out a big team up movie of such powerful characters without much explanation to who they are I don’t think could really be done in 2-3 hours. As discussed in Geek Orthodox, if DC wants to do something different, they’d be better off trying first for Superman/Batman or a Trinity film. Heck, a Superman/Batman film wouldn’t even need build up from previous films like the Avengers movie considering those two characters are so well known that, well it could probably be bypassed. Will have to agree with N-17 here though that a blockbuster CG film wouldn’t make it. Yeah, it would bring in comic fans, probably old cartoon fans as well considering the potential VA cast, and a few others. I doubt it would get the huge masses in though. CG worked for the Incredibles because it was designed as a kid/family friendly film, not to mention from a studio well established as being kid/family friendly. Bright colors, generally light hearted with a few things splashed in for adults that probably didn’t fully register for kids. I just don’t see that formula working for a JL film as you’d probably be gunning a little more serious and darker over all. Also, another reason those Marvel films did so well was the actors tied to them. Kevin Conroy, Tim Daly, etc. will definitely draw in the bigger fans from the cartoons, but not others. I know a LOT of people who went to see Thor simply because they thought Chris Hemsworth was hot, Captain America because Chris Evans is one of their favorite actors (and again, for some, because they thought he was hot). Iron Man for RDJ being such a great actor, not to mention his own real life in some ways matches Tony Stark’s. Also, hope you don’t mind the link over. While I would hardly argue that Marvel has an easier time translating their costumes to live action (Thor pretty much got the Man of Steel treatment and no on cared), I’m not sure I feel as strongly that live action presents problems that way. Green Lantern, Wonder Woman, Aquaman, and Batman are all pretty easy in my opinion and I trust that with the right guidance Martian Manhunter, the Flash, or any other potential Leaguer could be translated to film. What I will agree with you on is that the suspension of disbelief required for anything more fantastic than the X-Men films is better garnered in gradual doses, a luxury DC seems to feel it cannot afford. In the end the real victory that Marvel struck with Iron Man was assurance of quality. I honestly think Iron Man 2 was abysmal and ruined a lot of possibilities for a third installment but it hasn’t changed a general sense of faith in the studio that’s hard to find outside of Pixar. This guarantees that Marvel can feel secure in their movies and helps a movie that’s good but normally would be crashed against the rocks of skepticism make it’s way over. But the other thing they’ve done is convince us that Superhero movies will be as good as we expect them to be. That’s not a realistic expectation but Marvel’s been surviving with it. The simple truth is that a superhero movie isn’t enough. We demand good superhero movies. Still everyone thinks to themselves that a Justice League movie would have to be solid; it has Batman AND Superman. Sadly, it’s not the case. If DC succeeds in bringing the JLA to screen it won’t be because of the characters or even the names attached. Those will get butts in the seats, but, unlike most companies, DC cant skate by on everyone going to see it once and walking out disappointed. If literally every person who saw The Avengers went to see Justice League and hated it, but gave DC their money, it would still be a failure, because they need to cement a brand in film. If they’re to succeed it will have to be in the vision. I totally agree with your suggestion. I don’t know how comfortable Timm and Dini are with live action film, but at least they understand these characters and love this mythology. I’m also a huge fanboy for Greg Weismann, and I think it’s time that people stop canceling his excellent shows and realize that he’s brought rich nuanced storytelling to everything he’s touched, gaining huge numbers of fans. People like that are the kind we need if we’re ever to have a Justice League film that’s half of what fans dream of. Like I replied to another poster, to clarify I don’t think a live action JLA is impossible to do, just that it won’t work the way they’re going about it now- forcing a JL movie first without doing any character/world building. The Marvel movies worked because they took the time for each character and actively tried to make it work. Yes, superhero costumes can look goofy as hell live action, but they actively worked to do a version that works and were arguably successful. Avengers wouldn’t have worked as well as it did had they not done that world building before hand. JLA has the same problem, only magnified because it’s arguable that the JLA characters are better known/recognizable than most of the Avengers are. You’re asking an audience to suspend disbelief a TON all at once by doing a movie that way. My argument is with animation/CG the audience will be more forgiving and it’s just easier to do without looking silly. That and they haven’t had a problem in the past getting big names to do voice work for them, and it’ll be cheaper to boot. P.S. I will agree that that was pretty awesome. I don’t agree with you about a live-action Justice League movie not working. A good story with a credible threat can easily overcome the “flaw” that is the godlike powers of the protagonist. 1. They don’t respect the characters or their histories; they only respect the amount of money they think the characters will make them. 2. Their desire for immediate, highly profitable results and impatience with anything that isn’t capable of that. 3. Their allergy towards continuity. Take a look at the Marvel Cinematic Universe: it started out with four separate franchises: Hulk, Thor, Iron Man, and Captain America. The latter three are still alive and well while the former is dead in the water until 2016, at least. The people in charge took time to create a coherent continuity where everything more or less fits together and weren’t deterred by one of the four movie series not meeting expectations. DC just wants to throw the big team-up movie out there without any world-building because all the can see in front of their eyes since “The Avengers” movie is dollar signs. And they’re blind to all else, including the realization that that movie was the culmination of five to seven years of hard work. I actually agree with you. Let me clarify my position: I don’t think a live action JLA could *never* work, I just don’t think it can work in the way they’re going about it now. If they took the time to flesh out the characters and “universe” in the way that Marvel has, yes, it could very well work fine. But they’re insisting on doing a JL movie first, solo’s second, and I just don’t see that working for them in any medium except for maybe animation where the audience would be more willing to give them the benefit of the doubt. Live action is just harder to do right. It’s harder to do costumes that don’t look goofy. It’s hard to find the right actors, script, director, etc. Would an animated/CG movie bring in Avengers numbers? Of course not, but if they did it right it could still be profitable and it’d be something different. Bruce Timm and Paul Dini have already shown for two decades that they can do those types of stories, so I have no doubt they could come up with a 90 min-2 hour CG JLA movie that families and fans alike would enjoy.